Premium makeup brush kit has synthetic bristles, which were created to perfectly apply powder, cream and liquid products onto the skin without trapping or absorption of product. Easy to clean and maintain. 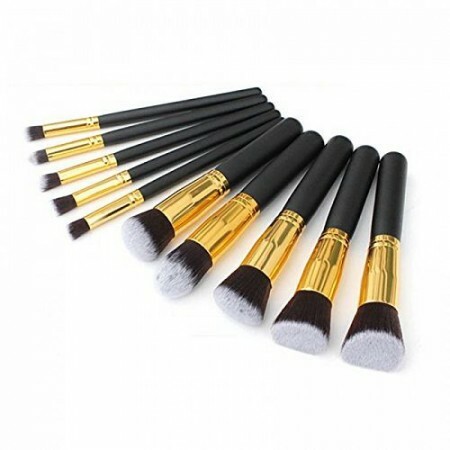 The brushes are soft, dense and silky to the touch with handles for comfortable fit and easy handling. Perfect as a gift idea for any girl, women or mom. Provides a high definition and flawless look. 5 detailer brushes that are shaped like the buffing brushes for a more precise application.